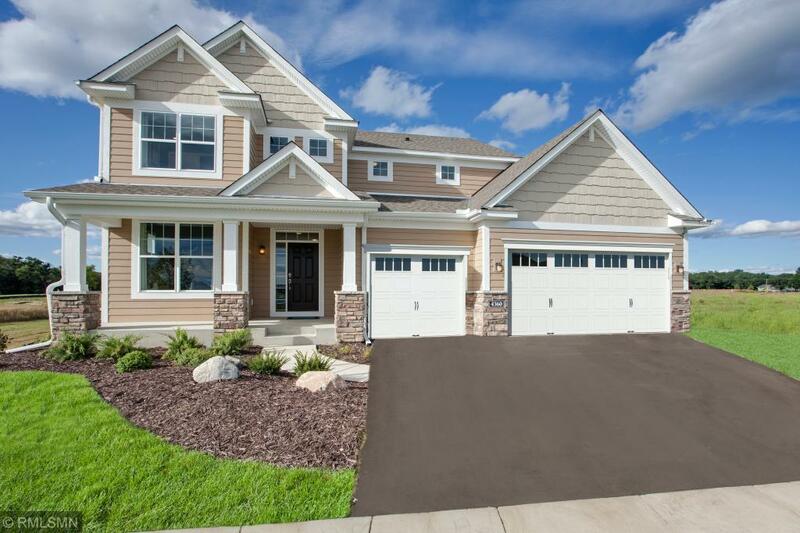 Beautiful Rum River Shores Barclay model home! This fully finished home includes open concept kitchen/dining & family room,upgraded cabinets, quartz CTs, stainless kitchen appliances, oversized kitchen island, home management center, sunny windows, office/den, upper level loft, French doors to private owners' retreat w/ shower & soaking tub, finished basement, 9' main level ceilings, 9' foundation, sprinkler system, concrete driveway, landscaping package, full sod, community pool, tot lot, trails through the park preserve down to the Rum River! Directions - Hwy 10 to N 7th Ave and go north, left on Bunker Lake Blvd, Right on 6th Ave, model home and flags on your right. Hoa - New Concepts Management Group, Inc.